Known as one of the largest truck-based SUVs in the market, the 2018 Ford Expedition is a behemoth of a vehicle. It’s got the best-in-class towing and has the highest seating capacity out of all the other SUVs in Ford’s line-up. While the standard features and specs on the Expedition are already enough on their own, what makes the Platinum version of the vehicle so special?  We at Team Ford got the complete comprehensive list of why we think it’s worth its premium value. Read on to learn more about the different premium features you’ll receive when purchasing the Ford Expedition Platinum from Team Ford. Still don’t believe us? Book a test drive on our website if you want to experience it for yourself! You’ll notice the Platinum’s premium feel right when you step inside the cabin. The entire upholstery is made up of a luxurious leather-trim with heated/ventilated seats in both the driver and the front passenger seats. Up above the seats, a Panoramic Vista Roof gives you extra exposure to the natural sunlight with two panels over the first and second rows. On the driver’s seat, the driver position memory settings automatically save your driving seat preferences when you have extra drivers in your household. Additionally, the 3rd-row seats include power folding for a more streamlined stowaway seating experience. The Expedition Platinum also has the highest performance specs out of every other trim, and possibly out of any other truck-based SUV in the market. While every Ford Expedition has the same 3.5-litre EcoBoost engine under the hood, the Expedition Platinum is capable of delivering a horsepower of 400-hp and torque of 480 lb-ft. One of the contributing factors to its enhanced performance is due to the adaptive suspension dampers that quickly switches between soft and firm terrains on the road. But no matter what Expedition you decide to purchase, each one provides best-in-class towing with up to 9,200 lbs. Additionally, the Expedition Platinum is also the only trim-level to have every safety feature included in the SUV. That means everything from its Blind Spot Information System (BLIS), adaptive cruise control, lane departure warning and intervention, as well as the forward collision warning with pedestrian detection all come with this top-tier Ford Expedition so you can worry less and focus more on driving. Speaking of which, the Platinum also comes with a GPS navigation system so you’ll always know where you’re going, along with a 360-degree camera to make backing into a parking lot less stressful. And of course, we don’t talk about a premium Ford vehicle without mentioning the SYNC 3 with SYNC Connect to pair your smartphone with the Expedition Platinum’s sharp-sounding Harman/Kardon audio system. With all of these available technologies standard on the Platinum, there’s nothing else that can compare. These are just a few reasons why we think the Ford Expedition Platinum is worth the upgrade from just the standard iteration. If you still have any more questions about the 2018 Expedition, Team Ford Edmonton can answer just about everything and anything!